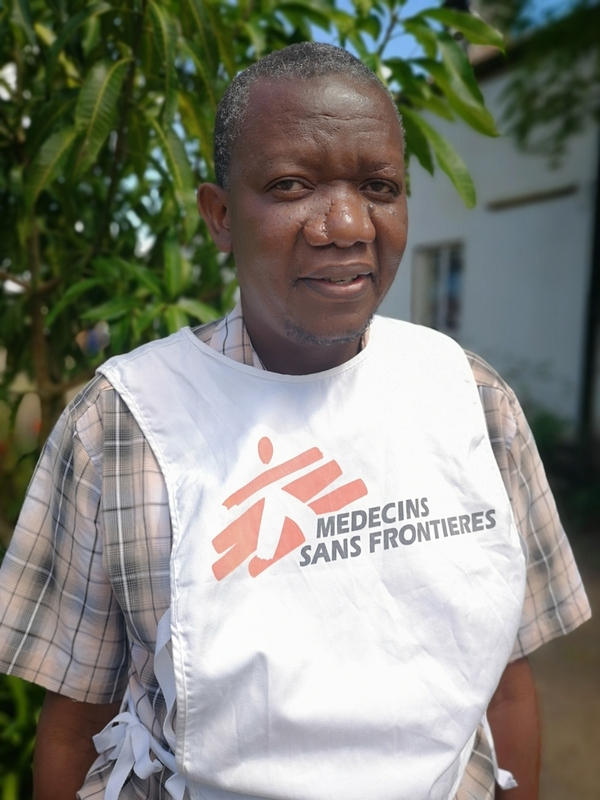 I’ve worked for MSF in Malawi for 20 years, both as a logistician, looking after the practical, non-medical aspects of the team’s work, and also as a community health worker, helping get healthcare to the people. Right now I’m part of the MSF emergency team working to get healthcare and sanitation supplies to the people who’ve been affected by the flooding in Makhanga, here in Malawi. So far, the flooding in Malawi has caused 59 deaths and 677 injuries. But the destruction has also meant that, overall, around 87,000 people have had to flee their homes. They’re now sheltering in schools, churches and makeshift camps. How MSF is responding to severe flooding in southern Malawi. Makhanga area, which is very fertile, is home to around 18,000 people who rear cattle and grow crops like maize and rice. It is low and flat and surrounded by the Shire River and its largest tributary, the Ruo, so it basically looks like an island. Because of its position, Makhanga is very prone to flooding. Heavy rains starting in early March affected all the southern districts of Malawi, so the entire area has been largely submerged for weeks. While the electricity is back on again, the region is still cut off from all road access. "This is the third time I’ve been part of a major flood response in this area – I was part of the MSF team working to save lives after the floods in both 2008 and 2015"
Fewer lives have been lost in the 2019 floods, but the damage caused to homes and crops has been immense. It isn’t just crops that have been lost, it’s also food stored in homes in an area that was in need of food support even before it was flooded. The floods have contributed to great hunger already in the area. The flood waters have submerged boreholes, which usually supply people with drinking water. They also destroyed toilets, forcing thousands of people to defecate in the open. The risk of waterborne diseases such as diarrhoea and cholera breaking out is high. An MSF member of staff stands in floodwater while coordinating the transport of supplies to Makhanga. The borehole at Makhanga health centre was contaminated by the floodwaters but MSF staff have managed to clean it and ensure that the water is safer to use. Our teams haven’t just been focused on the health centre. Elsewhere, MSF’s water and sanitation teams have been distributing chlorine, which can be used to kill bacteria; cleaning water points; and constructing toilets and showers. Our main concern is that we prevent an outbreak of diarrheal diseases and cholera. People here are vulnerable in terms of their health right now. So many homes were destroyed, lots of people are sleeping outdoors or in their chicken coops. As well as the risk of waterborne diseases, this area’s many swamps are breeding grounds for mosquitos, putting people at risk of contracting malaria. Malaria is a potentially deadly parasitic infection which can be diagnosed and treated relatively simply, if the patient can access healthcare. The flooding in Makhanga has pushed most of the district’s health workers to higher ground in the north for safety reasons, leaving the few remaining health workers under severe pressure. In the beginning there was just one Ministry of Health medical assistant and one hospital attendant. To support them, two MSF staff are providing basic healthcare, HIV services and disease surveillance (keeping track of the illnesses people have so we can understand what medical help is needed). Chikali health centre, background, in Makhanga district which was badly affected by flooding. The team is seeing approximately 150 people per day – many with respiratory infections or malaria. Working with the Malawian District Health Office, the MSF medical team has done an outreach clinic to ensure access to primary healthcare services and to drugs for patients with chronic diseases, including HIV and tuberculosis, who lost their medications in the floods. This is the third time I’ve been part of a major flood response in this area – I was part of the MSF team working to save lives after the floods in both 2008 and 2015. In 2015 we mapped the most risky, flood-prone areas in order to focus our response in the places where the need would be greatest. As part of that work we identified people to work with closely in the community. Having those relationships already in place has enabled MSF to come in quickly this time. In Makhanga district, a large number of houses have collapsed. Thousands of people remain in displacement camps and makeshifts sites such as schools and churches. This time, when the heavy rains were just starting, our teams were able to assess the situation and plan an immediate response with the community, who already had some experience of how to distribute relief items. In our previous flooding responses we shared information on how to find and prioritise people who needed medical care. In 2015, a lot of people died in this area, but this year fewer lives have been lost to the flooding, partly because people now know where to find higher ground. Our health centre in Makhanga was severely flooded, but our experience of responding to previous floods meant we were prepared. In 2015, a lot of drugs were soaked in floodwater, ruining them. MSF raised the height of the shelves so that the drugs would be safe from the water, so this time they were spared and can be used to treat patients who really need them. MSF is providing healthcare; water and sanitation; and distributing essential relief items and hygiene kits, but our wish is to see more organisations responding in areas that we cannot manage, like ensuring people have enough food. Looking ahead, the community of Makhanga is really going to need more support. Makhanga area was one of the worst affected by heavy rainfall which started in Malawi in early March 2019. The same weather system went on to become Cyclone Idai which struck Mozambique and Zimbabwe on 14-16 March. There has been widespread destruction of agriculture and animals in Makhanga – an estimated 50 percent of the area’s crops may have been lost. An MSF team of 18 people is currently working with local authorities, communities and the health ministry to cover the needs of an estimated 18,000 people in Makhanga with health, sanitation and non-food-item supplies.